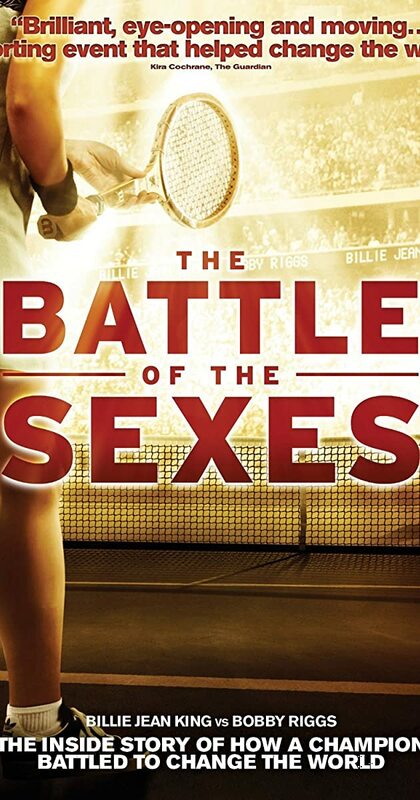 The electrifying 1973 tennis match between World number one Billie Jean King and ex-champ and serial hustler Bobby Riggs was billed as THE BATTLE OF THE SEXES and became the most watched televised sports event of all time. The match caught the zeitgeist and sparked a global conversation on gender equality, spurring on the feminist movement. Trapped in the media glare, King and Riggs were on opposites sides of a binary argument, but off-court each was fighting more personal and complex battles. With a supportive husband urging her to fight the Establishment for equal pay, the fiercely private King was also struggling to come to terms with her own sexuality, while Riggs gambled his legacy and reputation in a bid to relive the glories of his past. Together, Billie and Bobby served up a cultural spectacle that resonated far beyond the tennis courts and animated the discussions between men and women in bedrooms and boardrooms around the world.